The jobless will collect their last unemployment benefits this week unless Congress acts. 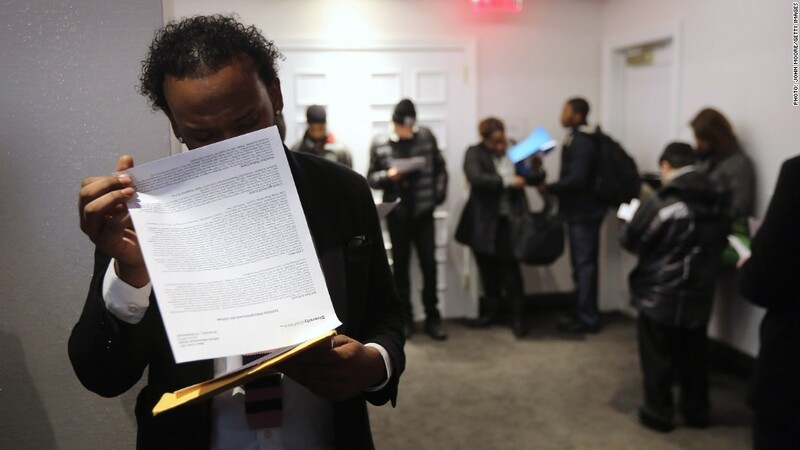 Some 2.1 million jobless Americans are receiving their last federal unemployment checks this week if Congress doesn't extend the deadline to file for extended benefits. And another 1 million who exhaust their state benefits in the first quarter of 2013 will never see a federal unemployment payment, according to the National Employment Law Project, an advocacy group. Lawmakers are down to the wire to extend federal jobless benefits -- of up to 47 weeks -- that Americans can receive after exhausting their six months of state payments. The law expires on Wednesday. An extension is part of a package to address the fiscal cliff, which passed in the Senate early Tuesday, but still needs to be voted on in the House. This would be the 10th extension since the Great Recession began five years ago. Lawmakers first enacted the federal benefits package in June 2008, and President Obama extended it to 99 weeks in November 2009. Congress last lengthened the deadline to file for benefits in February, but lawmakers also restructured the program at the time. The maximum number of weeks the jobless can collect unemployment benefits was reduced to 73 weeks. And the jobless are no longer eligible for a separate federal extended benefits program that would have added up to another 20 weeks. State and federal unemployment insurance programs have cost roughly $520 billion, according to a Congressional Budget Office report. Extending benefits for another year would cost another $30 billion. Of the roughly 12 million people who are currently unemployed, 40.1% have been so for more than six months. More than 6 million jobless Americans have exhausted their benefits since 2007, according to Judy Conti, NELP's federal advocacy coordinator. Advocates for the jobless are already lobbying hard for another extension, noting that unemployment remains at a stubbornly high 7.7%.